Multiple budgie homes can work out for the best. The lovable budgie is a favored pet due to his small size, playful antics and somewhat simple care requirements. Budgies are social with people and other birds. Keeping more than one budgie greatly improves budgies' quality of life. These little natives of Australia flock in small groups -- larger flocks if conditions are favorable. They perch together, fly together, socialize and eat together in their native land. In captivity, budgies will bond closely with their human counterparts to substitute the flocking behavior, but many will also bond with each other. If you have three budgies, introductions are going to either make or break the peace in one cage. Not all budgies get along, despite the fact that they're social creatures. Fighting and ganging up on each other could lead to injuries for one or all of the birds. Before placing them in a cage together, move the cages close enough together that they can interact without touching the other cage and let them have a period of adjustment for a week or so. Friendly birds will sit as close together as possible and may even start mimicking each others' routines. If they seem to be getting along in their cages, let them have some supervised playtime outside of the cage. Look at the interactions and make sure no one is getting hurt or being overly aggressive. Like with other birds and pets that require cages, bigger is always better. This is especially true for birds and budgies. They fly and play, so a cage needs to be both high and wide. 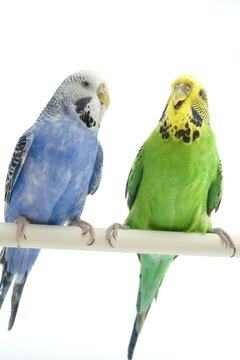 Three budgies in a cage will require significant room, more room than three individual cages. They will need enough room in the cage that all three of them can stretch their wings without touching, play, climb ladders, eat and perch without being bothered or touched by a cage mate. If you already have a bonded pair, they could possibly gang up on a third cage mate, although this certainly isn't always the case. In general, females tend to be more aggressive to others than males. Two males could possibly start fighting over a female companion, as well, due to their instinct to breed -- and breeding might very well happen in a mixed-gender cage. 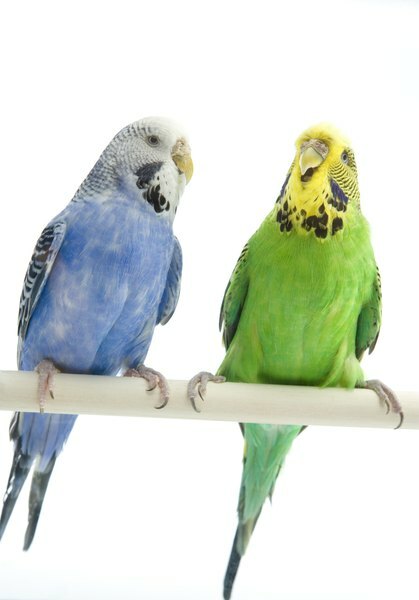 You'll need to spend quality time with each budgie separately to keep them tame and reduce jealousy. That being said, however, multiple budgies that get along are happy budgies, able to play and socialize together in the absence of their humans. Can Parakeets Withstand Heat and Cold Outdoors? Do Lovebirds Get Along With Parakeets? How Often Do a Parakeet's Wings Need to Be Clipped? How Large of a Cage Do Parakeets Require?